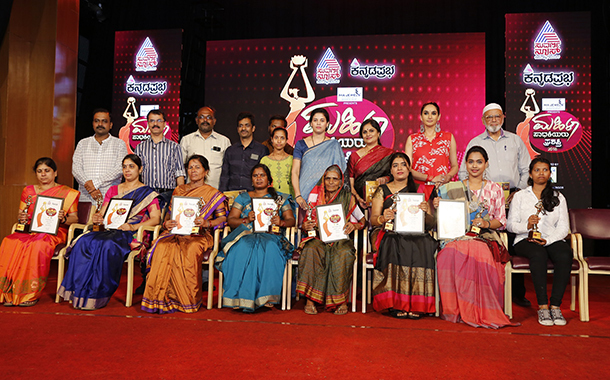 Bengaluru: To celebrate womanhood and to honour the women who are working towards the betterment of society selflessly, Suvarna News and Kannada Prabha had organized Women Achievers Awards 2018 an on-ground event to felicitating these women from all over Karnataka who are achievers in the areas of Social Service, Literature, Art & Culture, Physically Challenged, Science & Technology, Sports, Corporate and Agriculture. Winners were announced in the gala event held on October 6th, 2018 at Town Hall, Bengaluru and was attended by Smt. Rohini Sindhuri, IAS, Deputy Commissioner of Hassan, Smt. Subhasani Vasant, Renowned Bharatnatyam Dancer and wife of Kargil war martyr Late Col. Vasant and Ragini Dwivedi, Leading Kannada Film Actress. Over 400 people attended the event which included family and friends of the winners. Along with a memento and certificate, the winners also received a cash reward.